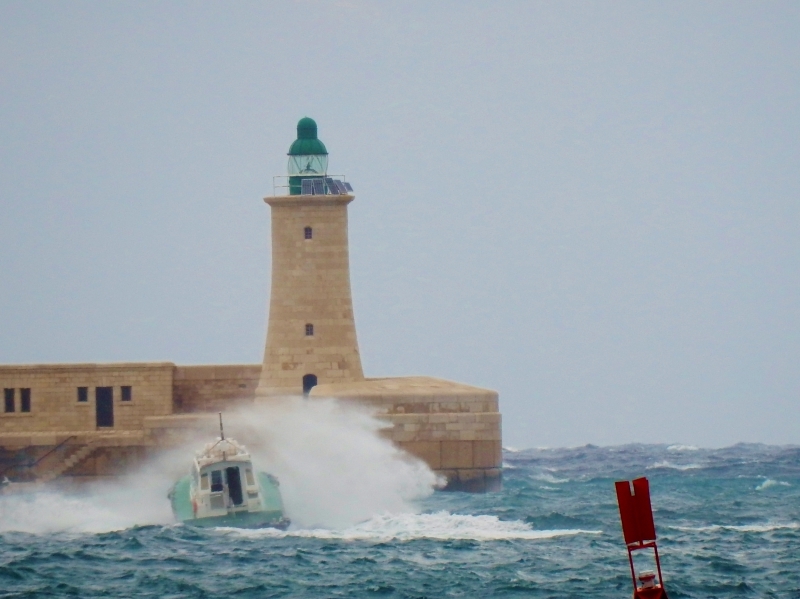 The pilot boat FOXTROT exiting harbour. braving the high winds and seas to deliver pilot. This photo has been shown 280 times since it was added to the site.